The RITZ article on knee dragging is one of the most viewed posts on the website. I can understand why. Dragging a knee is a measure of sport riding accomplishment for many. Nothing says “sport bike hero” better than fully worn tires and scuffed knee pucks. Am I right? Those of us who drag knee certainly enjoy the sensation, but the real benefit comes from the added confidence it provides. Yes…confidence. Touching your knee to the pavement is a definitive measure of your exact lean angle. Without this measure, you must rely on your eyes and inner gyro-system to help judge whether your lean angle is nearing your personal limit or the limits of your machine. 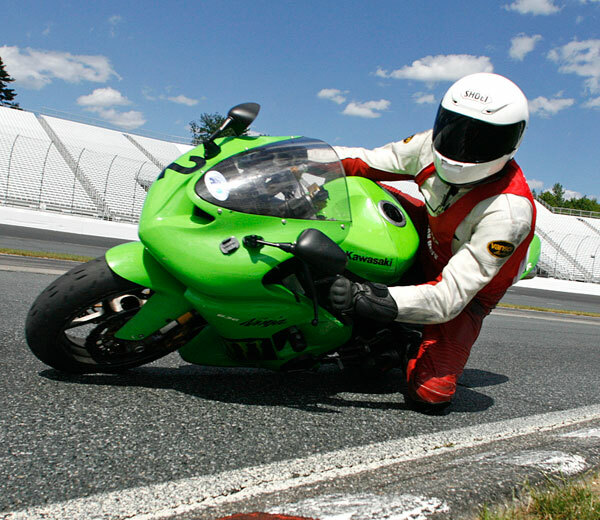 Knee dragging provides a way to tell you whether you are leaned a little or a lot. This information helps you determine whether you are pushing hard and nearing the limits, or riding at a conservative pace. To most street riders, this may not seem all that important. But, it starts to make sense once you begin cornering very fast at lean angles that should only be attempted on a closed course. That’s when you really start to rely on the information that knee dragging provides. 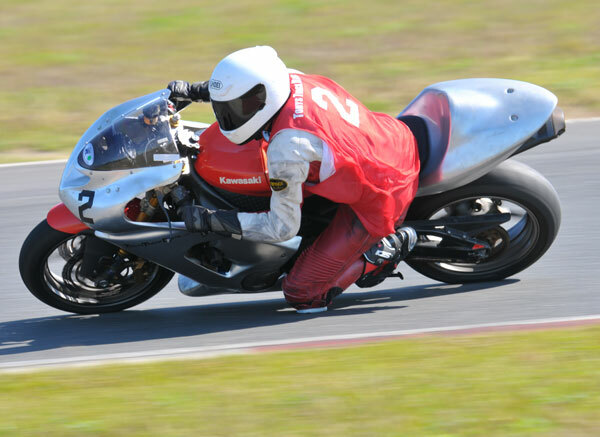 To make the most out of what knee dragging can offer, you must develop a body position that is consistent lap after lap. Otherwise, you’re changing the metric with which lean angle is measured. Riders who have not yet solidified their body position may be inconsistent in how their body is positioned so that their knee may touch the pavement erratically. These variations make the knee dragging an inaccurate measuring tool that can give the rider false confidence that he or she can push harder. An expert track rider pays attention to exactly when and where his or her knee touches down, lap after lap. They know when to expect their knee to touch and for how long it will skim the surface. Their body position is well-established so they know that the measuring tool is calibrated and will not change. With this awareness, they have a baseline for experimenting and refining technique and to determine how hard they are pushing. The obvious thing measured by knee dragging is lean angle. But, what else is measured with the knee? My knee tells whether I dare to lean more. Too many riders make dragging a knee a priority at the expense of body dynamics and cornering control. The result is usually not good. 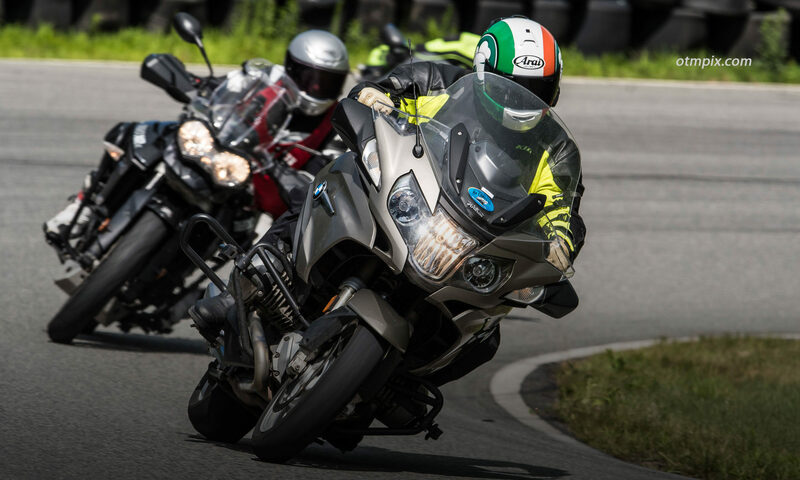 Remember that knee dragging is the product of excellent cornering skills, effective body positioning and yes, corner speed. Work on that and it’ll happen, eventually. Sign up for on-track Personal Training to help get your skills in shape. Sometimes, you have the skills and the body position, so all that is missing is speed. But, that is the topic for another article. Share your thoughts on knee dragging in the comments section. Thanks for this great description, Ken. I can’t wait to start using my knee as a measuring tool the way you describe it. For now, I am still fighting the instinct of self-preservation and keep tucking my knee in every time. I wonder sometimes if there is a good way to overcome it. I believe that once you understand the value, then perhaps you will be motivated to let your knee drag. And once you let yourself trust that it’s okay, then you’re all set. Knee dragging itself is not dangerous, it’s the lean angle and corner speed that is risky. It could be that when you touch your knee, you are reminded just how fast you’re going. So, perhaps in this case NOT touching your knee is a sort of denial. I can’t really ride hard or well without my knee pucks. It is not so much a lean angle meter anymore, but it’s more like it puts my reference point into 3 dimensions. Triangulation, like a GPS system. Beyond that, I actually put weight on my knee, not just skim it. It takes some weight off of my hands and inside foot. This means that when the bike slides, I feel it push my knee up as the bars fold in my hands. I’m more ready to save it in this way. 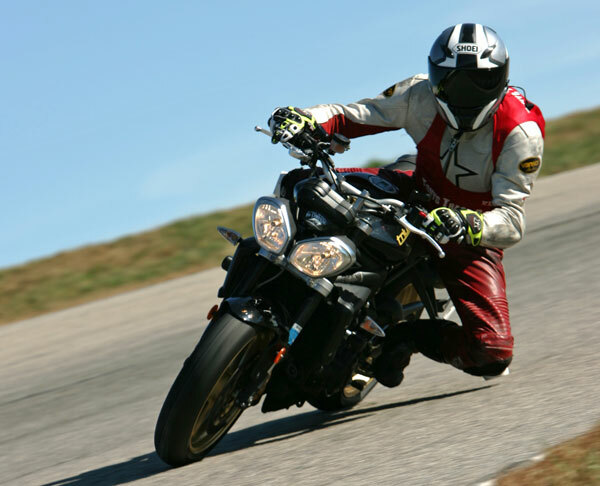 Paul uses knee pucks to a higher level still as a way to manage the VERY fast cornering speeds he is capable of. Thanks for sharing your secret, Paul. ride properly and skillfully and your knee will come down naturally.